The actress further added, "I have known Parth since we started working together on our TV show and we shoot every day. We are good friends and have a great working relationship. Whenever we chill together, we have a whole bunch of people with us. When we go for events, we are often leaving from our set, so yes, we do leave together. That doesn’t mean we go home together. In fact, we live in different parts of the city." Erica, who does not pay much heed to what's being said about her, also said, "People believe what they want to believe. We are good friends but we are not dating. I can’t stop them nor can I explain things to everyone. From day one, we got along well. And link-ups are a common occurrence in shows with romantic storylines. It doesn’t bother me as I know the truth and I can’t stop them." On being asked if she would ever date an actor, the actress added, "I can’t say who I would date or not. For me, the person is important, his profession is not." On the professional front, Erica gained popularity for her role as Dr Sonakshi Bose in Sony TV's Kuch Rang Pyar Ke Aise Bhi. Currently, the actress is seen essaying the role of Prerna in Kasautii Zindagii Kay 2. 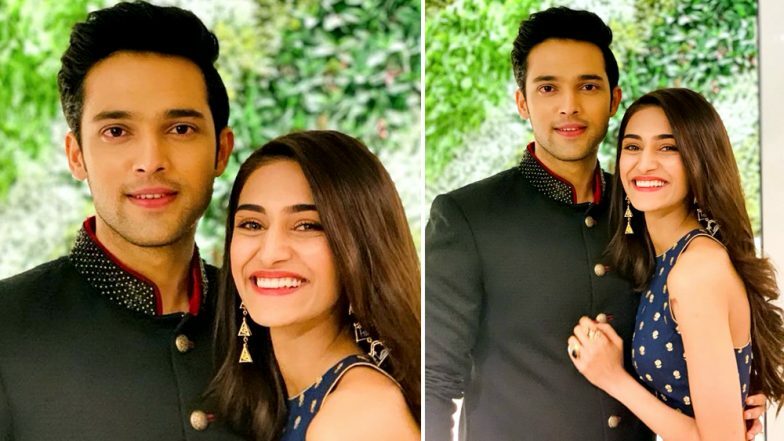 In Ekta Kapoor's show, Erica is paired alongside Parth Samthaan and their onscreen chemistry as Anurag Basu and Prerna Sharma is being quite appreciated by many. Watch this space for further updates.